Dedicated to quality service, our tax and accounting department is comprised of three Enrolled Agents, three CPAs with Masters Degrees in Taxation, and a team of support staff all trained to give our clients the edge when it comes to saving taxes and managing your business. It is a full-time job keeping track of the tax law changes – passed and proposed – but we are ready to do everything we can to save you money and plan for tax savings in the years ahead. Now more than ever, specialized tax planning is a crucial component for every financial plan, whether its for a family or business. Are you giving up potential tax deductions? To schedule a free review of your past three year’s tax returns, please call (360) 671-7891 or contact us online! We can not emphasize enough the importance of personalized planning. Every situation is different and the law can be interpreted different ways depending on your fact situation. We work with you to create a tax strategy to help you keep more of what you earn. We network with a team of bookkeepers who can perform monthly and quarterly services, then our CPAs can step in to crunch the numbers to create financial statements ready for third-party review. Tax planning is one component for business owners. 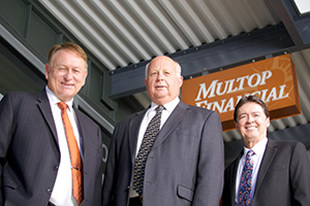 Full accounting and auditing services are also available at Multop Financial, provided by Michael Lamoreux, Don Ruhl and Phil Multop who together have over 90 years of combined experience. CPAs with Master’s Degrees in Taxation; we believe there isn’t a better team to help take your business to the next level. With these services, we work to interpret and apply our tax law knowledge so we can provide you with tax planning and preparation services to manage your current and future tax liabilities. We will work to go beyond the numbers to prepare the custom financial reports you require to make informed business decisions. Get a FREE review of your past three year’s tax returns! At Multop Financial, we can review past tax returns to find lost deductions! When we review returns prepared by other firms or done by the taxpayers themselves, we often find missed deductions that could save hundred and sometimes thousands of dollars. Don’t leave money sitting on the table. Let us help you keep more of what you earn by reviewing your past three returns before the statute of limitations runs out! Use our email contact form to request a free 3 year tax review or call (360) 671 7891. Give us a call today and we can discuss your financial and tax situation and ultimately determine how we can best help you.